When do you think fashion was at its most glamorous? In the 1950's? Or the 1930's? Whichever era you choose, is that choice based on the clothes themselves, or on the way we've seen them in pictures? 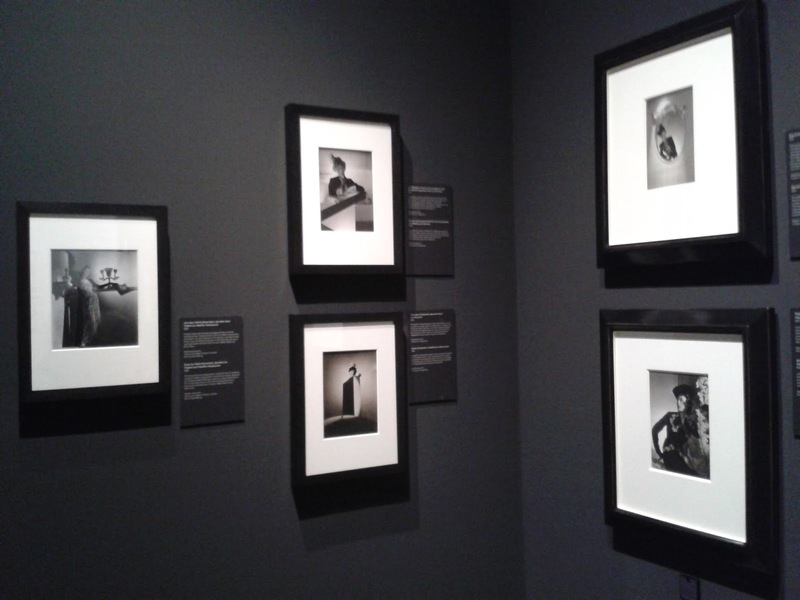 Yesterday, the exhibition "Horst P. Horst, Photographer of Style" opened in the Nederlands Fotomuseum (= Dutch Photo museum. The link goes to the Dutch version of the site because the English version doesn't load properly) in Rotterdam. 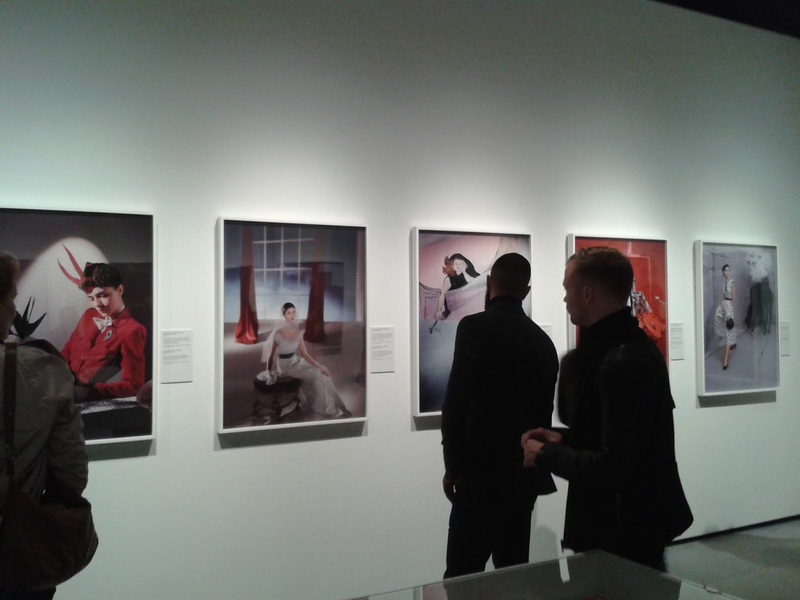 The exhibition shows a great overview of his work, including a huge amount of iconic fashion images and portraits of fashion designers, actors and artists. 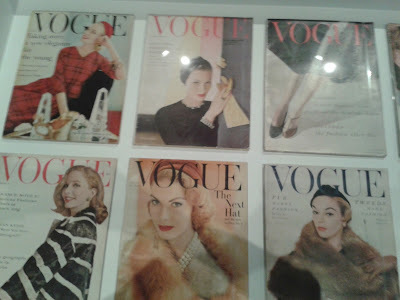 Much of it is shown in the form of original vintage prints, often not much bigger than the negative format used for the images for 1930's Vogue: 8 by 10 inches. Interestingly, this makes viewing these sleek, monumental images a rather intimate experience. 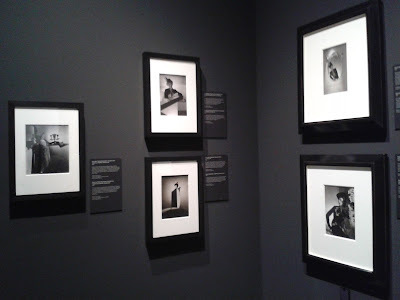 Many of these pictures were probably printed to show the images to editors or clients and there are a few examples in the exhibition which bear pen marks which show the retoucher how to alter the image. A great look at "Photoshop" before the digital age. As an added treat, there were also some examples of Paris couture gowns from the 1930's. Glorious designs by the likes of Vionnet, Schiaparelli, Gres and Chanel, on loan from the Victoria & Albert Museum in London. Oh, and the colour images were a real surprise as well. The colour negatives you may remember didn't exist yet in the first half of the 20th century but there was another process available at the time. Technically complex and expensive, it was only used for commercial photography and magazine covers. Horst took many such pictures and those were there too. The original magazines were in display cases but there new, large prints have been made from the original film of quite a number of them. Unlike 1970's colour negatives, the colour information on the film from this rare process doesn't degrade over time so the new images look incredibly fresh, beautiful and difficult to date. And that wasn't even all. 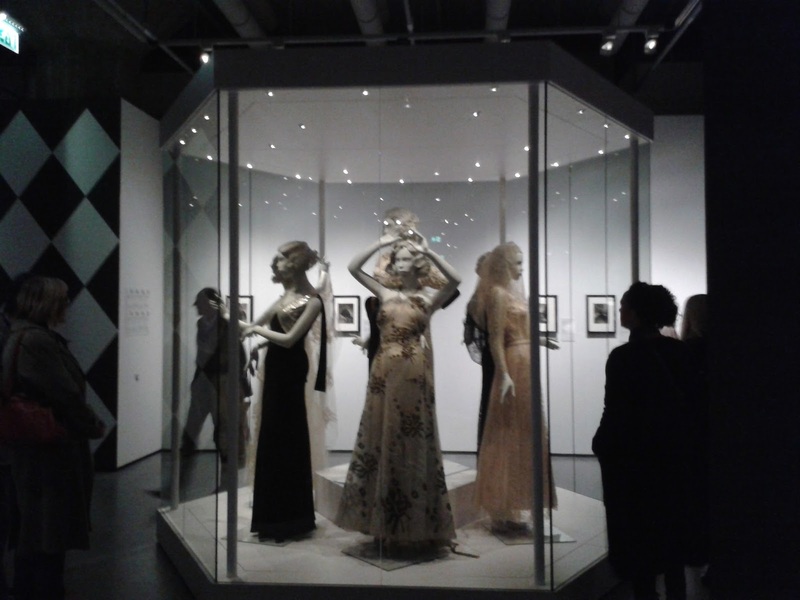 With the Horst exhibition as its main display, the museum has decided to make a bit of a theme of "fashion". To this end, they asked fashion designer Mattijs van Bergen (I didn't know the name either but as a graduate of ArteZ in Antwerp and with a master's degree with Central st. Martin in London, he might be one to watch) to create a collection inspired by the museum's extensive archive of black-and-white photographs (which includes the work of many celebrated Dutch photographers). In turn, this collection was photographed by three different fashion photographers. Before seeing it, I was a bit skeptical about this project, I feared it might be a bit of a gimmick. However, the result was actually very nice. Unfortunately, the presentation (which works quite well for a visitor of the museum), on dark dummies in spotlights in a dark corridor, made it very difficult to get some pictures to share with you. 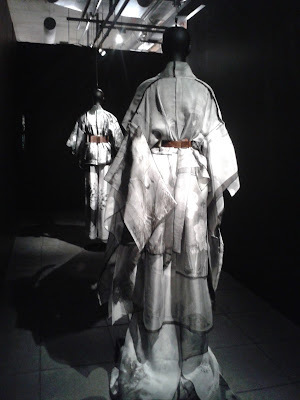 You can visit both exhibitions until January 2016. 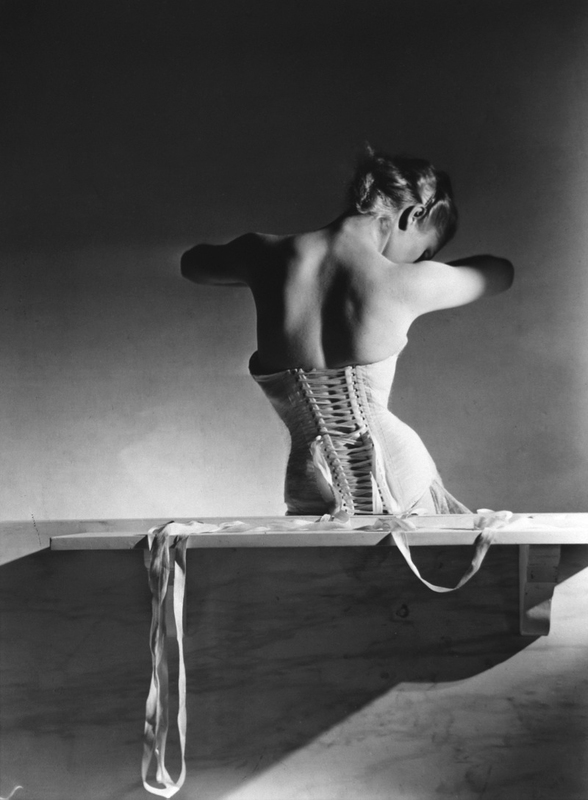 Love the Horst photos and would love to see the exhibition. Your exhibition posts always make me want to journey to Rotterdam post-haste! Thank you. Thank you so much for posting. I was lucky enough to come to Rotterdam while my husband attended the European Quizzing Championships this weekend. 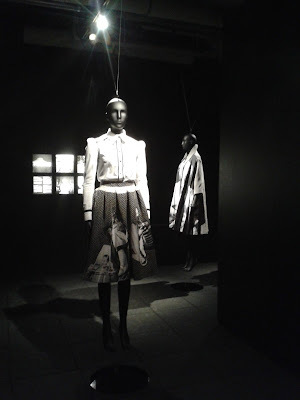 I really enjoyed the exhibition, and my stay in the town.